There are currently 77,608 users on this website. 1923-P Peace Dollar VAM-8 Find. Can Anyone Verify This? Title says it all, just please someone verify this as a VAM-8. There is no other VAM that has double back of hair. Adam, you're a patient guy. We've lost many of our "darkside" vammers (Peace = darkside). I'm no expert, but it appears to be the VAM 8. Can you confirm doubling on the right side of the letters 'TRV'? 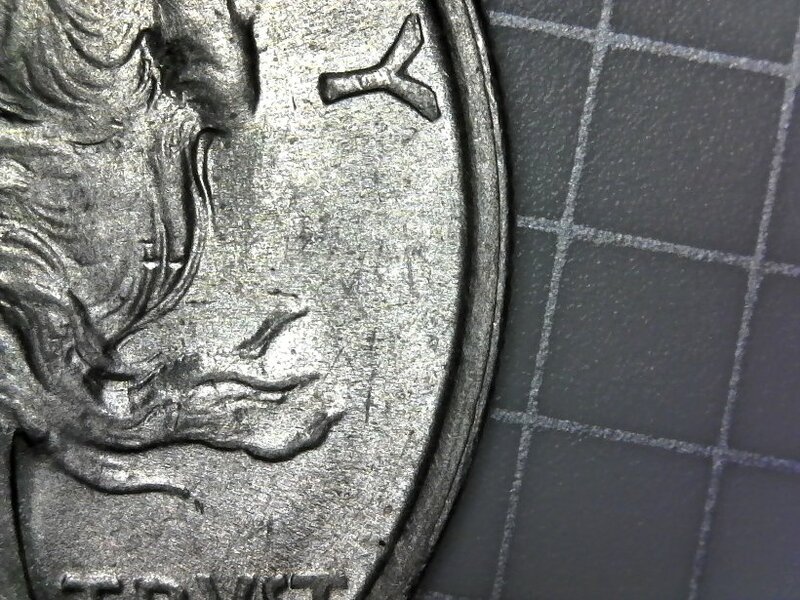 Here is link to VAMworld of the VAM 8. http://ec2-13-58-222-16.us-east-2.c...1923-P_VAM-8 It appears to have doubling on the inner portions of hair on the plate coin that your coin appears not to have. Hope this helps.